At Dino and Son Tile Distributors, we pride ourselves in offering the largest selection of porcelain, natural stone, metal, glass, and ceramic tiles at the best prices. With over 40 years of experience, we also offer advice for the do-it-yourselfer, and we can recommend a highly-qualified, independent contractor to perform the installation. For kitchens, bathrooms, fireplaces and more, we are here to help. Now you can order a selection of tiles right from your home. Visit http://dinoandsonetiles.com. We are conveniently located near the Price's Corner Shopping Center. Monday, Tuesday, Thursday and Friday: 9 a.m. to 5 p.m. Call us at 302-999-0333 if you would like to make an appointment. 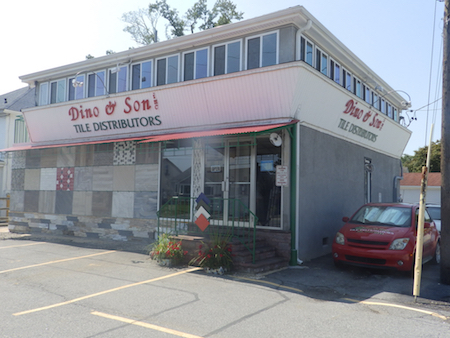 Dino & Son Tile Distributors, Inc.